Sliced chicken meat on grill, non stick frying pan, barbecue grill. 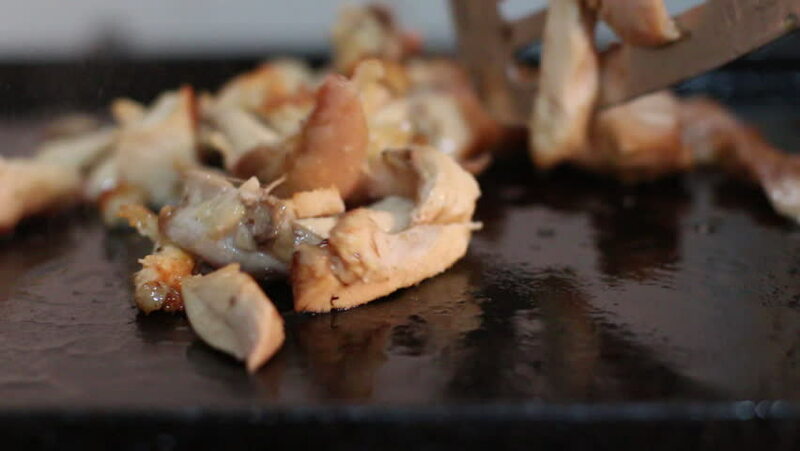 hd00:14Sliced chicken meat on grill, non stick frying pan, barbecue grill. hd00:10Sliced chicken meat on grill, non stick frying pan, barbecue grill. hd00:07Squid, octopus, cuttlefish is preparing on grill, close up. Turning the octopus on the grill. Octopus meat roasted on barbecue. Fried seafood on the grill at the street food festival. 4k00:22Chef is grilling Turkey legs on the grill. Appetizing, Closeup.